Boxing’s pound-for-pound king weighs in on Conor McGregor’s boxing... and he’s not impressed. Vasiliy Lomachenko (12-1, 9 KOs) is preparing for a WBO/WBA lightweight title defense vs. Anthony Crolla (34-6-3, 13 KOs) on Friday night, but TMZ Sports made sure to ask him about Conor McGregor, much to the delight of SEO lovers and headline writers everywhere. So what was the two-time Olympic gold medalist and three-division world champion asked about McGregor? Well everything was focused on Conor’s boxing abilities, and Lomachenko doesn’t think too highly of the former UFC champion’s skillset... at least not as a professional. McGregor (0-1, 0 KOs in boxing), who did have amateur boxing experience, memorably fought Floyd Mayweather in August 2017, losing by 10th-round TKO in the second-biggest pay-per-view of all-time. There were certainly a fair share of people who earnestly thought McGregor could actually beat Floyd, but surprisingly one of boxing’s all-time greats was just a bit better than the top-flight MMA fighter with zero pro boxing fights leading up to that mega-clash. 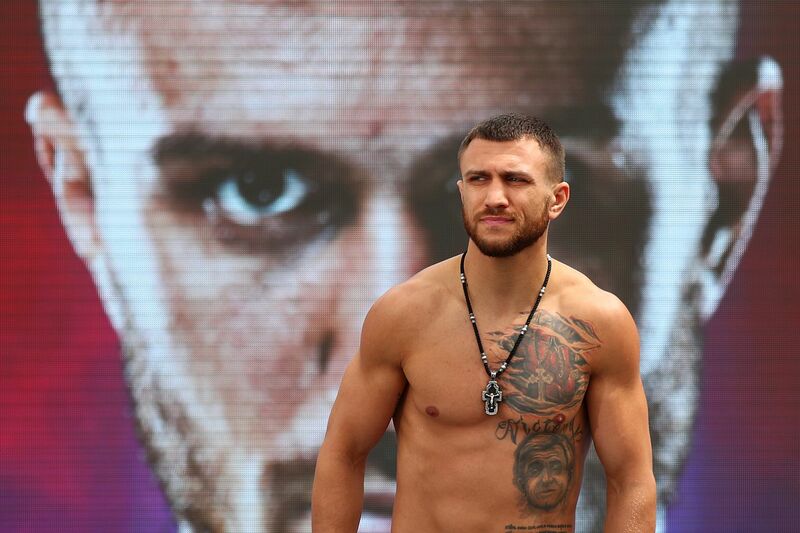 Even though Lomachenko started his professional career at 126 lbs and now competes at 135 lbs, he was still asked about how he’d fare against the much bigger (but far less skilled) McGregor if they boxed. Clearly we shouldn’t be talking about Lomachenko vs. McGregor under any context. It’s a bit silly and I’d dread the thought of reliving the magical “MMA angles” debates from yesteryear in the build-up to the Floyd fight. That said, Lomachenko claims to have a sambo and wrestling background as a kid, so the obvious fantasizing to be had here is Loma in an MMA environment. Considering his guarantee for tomorrow’s Crolla bout is $3.2 million, I doubt that he’ll be too enthused about switching sports. Anyway, Lomachenko vs. Crolla airs live on ESPN+ at 11 PM ET/8 PM PT on Friday, April 12th at the Staples Center in Los Angeles, California.